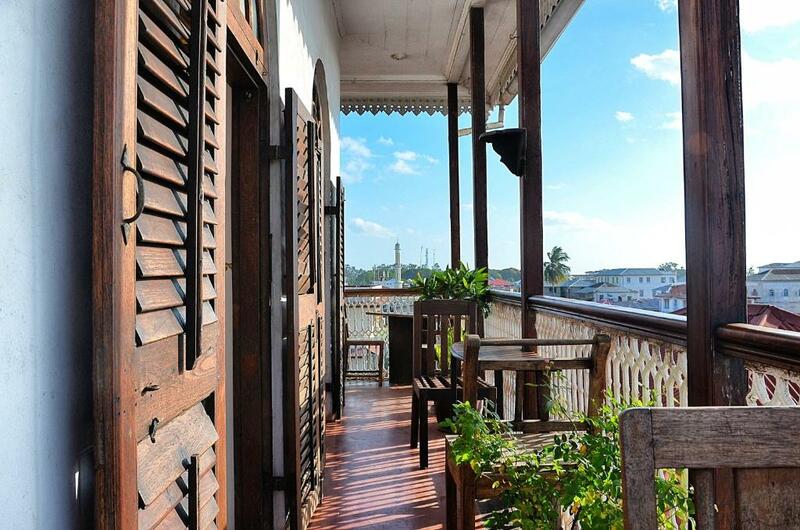 Lock in a great price for Zanzibar Coffee House – rated 9 by recent guests! Friendly staff and great breakfast menu and coffee selection! 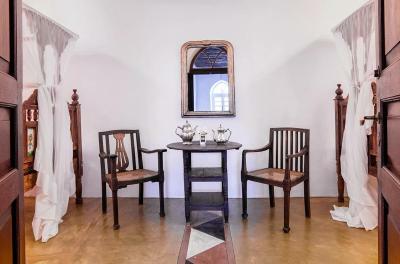 Quaint and centrally located. 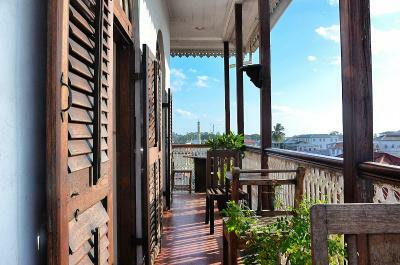 Amazing rooftop deck with warm breezes and beautiful view! The breakfast was spectacular! 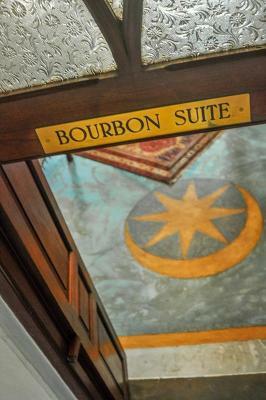 Loved the room & the staff was so friendly. Enjoyed chewing on the coffee beans. Liked being in the center of the city. Great location! Friendly staff that greeted us with iced lattes when we arrived. Great WiFi. 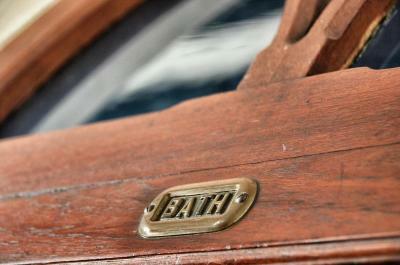 Lots of character. 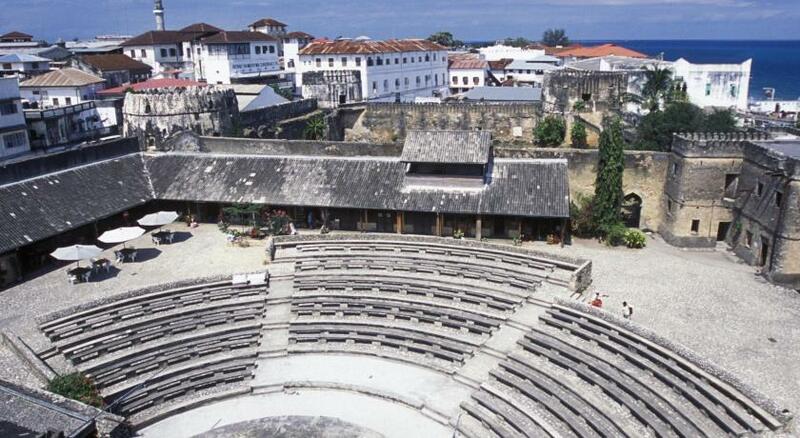 Was helpful in organizing excursions outside of stone town! 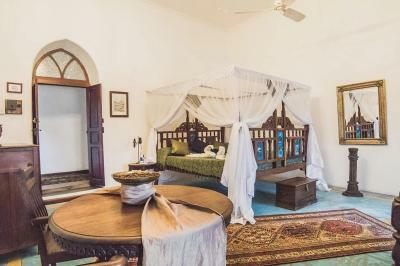 Amazing stay in Stone town! 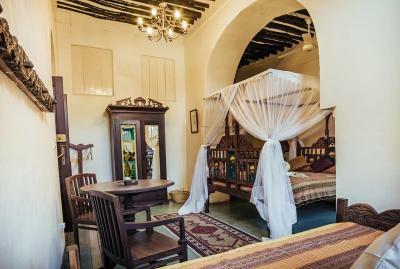 Location is excellent (downtown Stone Town) and the accommodation has wonderful Swahili styling. Great hospitality too! There is a rooftop terrace (with a little fridge which drinks so you can serve yourself), which is a great place to relax. 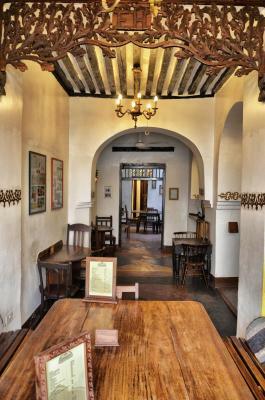 And yes, it is a coffee house which sells excellent coffee too! 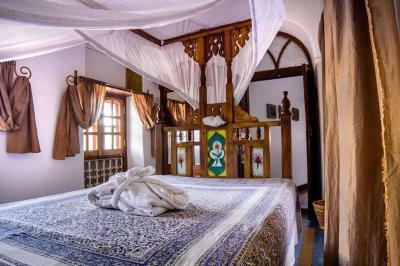 Great location, very friendly staff, very unique room, incredible breakfast. The staff was amazing. They allowed to make a early check (9am) that was really cool because we could rest a little bit before going to the city. 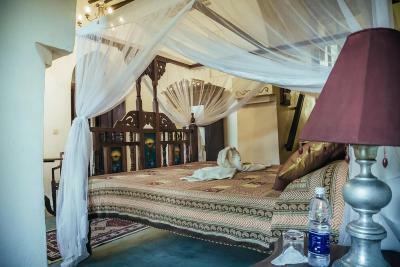 The room was quiet, allowing a good rest. The breakfast on the rooftop was incredible and the coffee... 🤗 a must try for all expresso lovers. We really enjoyed our time there although the price was a little bit on the high side it was worse it. 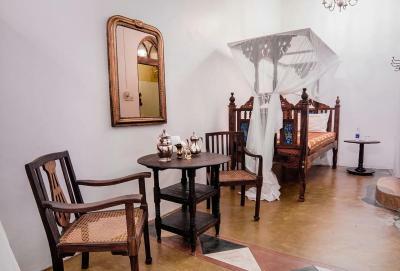 Room was beautiful and clean with working AC. On-site property manager was extremely helpful and friendly. Breakfast is great with outstanding views on the rooftop. The coffee, surprisingly is only average... perhaps I've been spoiled. 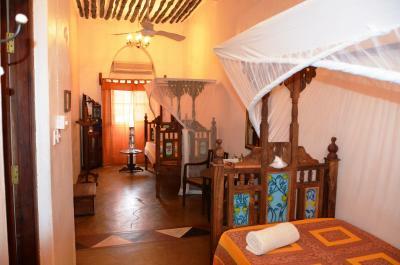 One of our best sellers in Zanzibar City! 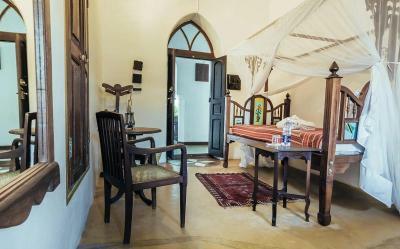 Located in Zanzibar City, the unique and historical Zanzibar Coffee House offers individually designed rooms and suites. 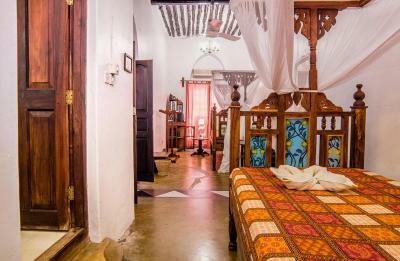 It features a coffee shop and a roof top terrace, overlooking Stone Town. 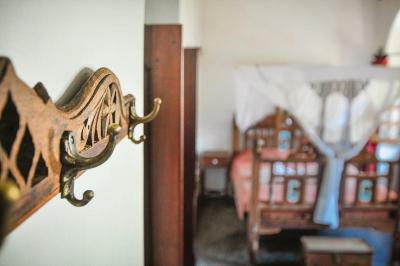 The rooms combine old-world charm and antique details with modern conveniences. 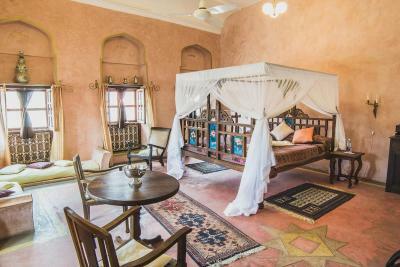 Each room is fitted with a ceiling fan and a four-poster bed, draped with a mosquito net. Free WiFi is available. Breakfast is served on the rooftop terrace. 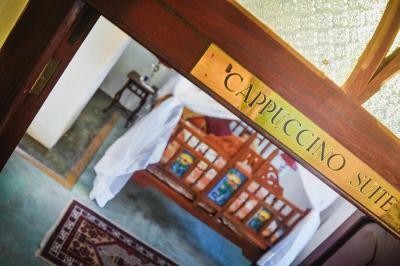 The hotel's café is located downstairs and offers a variety of coffees, prepared by trained baristas. 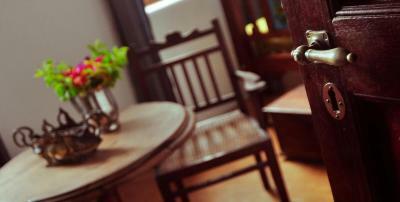 Guests can also indulge in cakes or order meals and snacks. 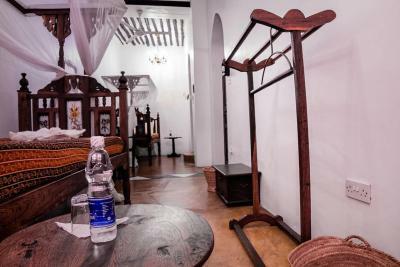 Zanzibar Coffee House has a 24-hour front desk, concierge and laundry services. 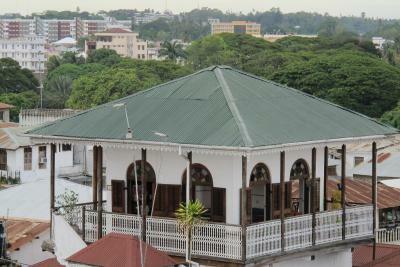 Zanzibar Airport is 5 mi away and airport transfers can be arranged for a surcharge. 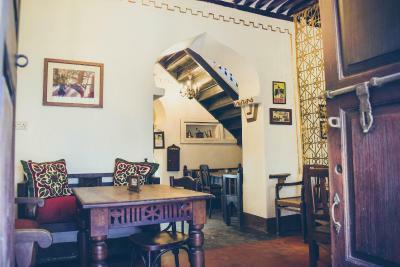 When would you like to stay at Zanzibar Coffee House? 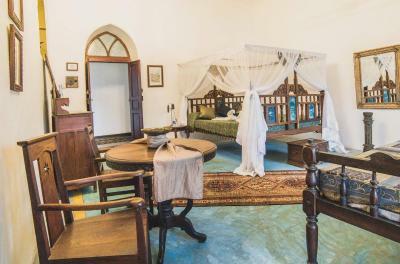 This spacious suite features a four-poster bed, draped with a mosquito net. 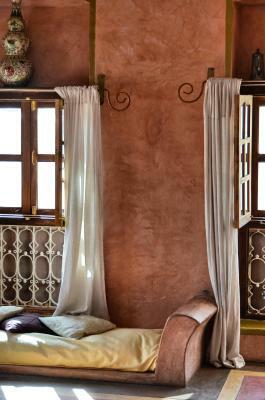 It has an Arabic-style seating area and private bathroom. 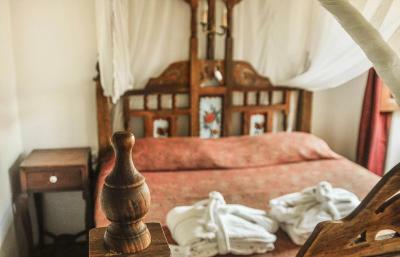 Please note that the price is based on either single or double occupancy. Maximum occupancy is 3 (see Hotel Policies). 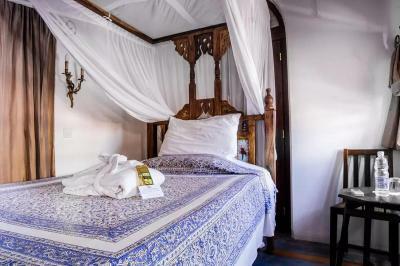 Decorated in blue with gold details, this unit features a four-poster bed, draped with a mosquito net and an private bathroom. There are 2 extra beds in this room. 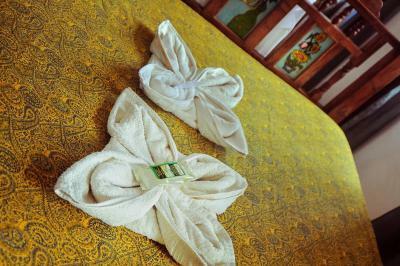 Please note that the price is based on either single or double occupancy. Maximum occupancy is 4 (see Hotel Policies). 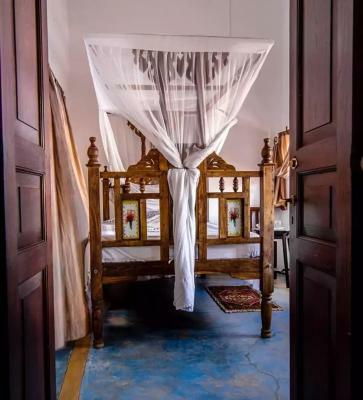 This spacious suite features a four-poster bed, draped with a mosquito net. It has a closet and an private bathroom. 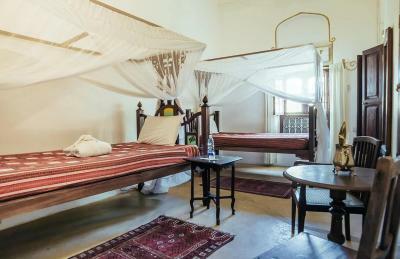 This room has 2 separate single beds, draped with mosquito nets and an private bathroom. 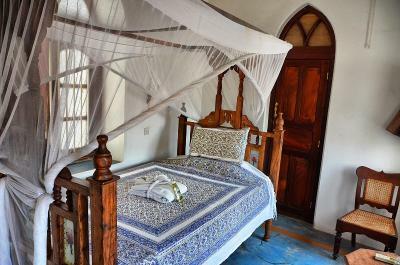 This room features a four-poster bed, draped with a mosquito net and en private bathroom. 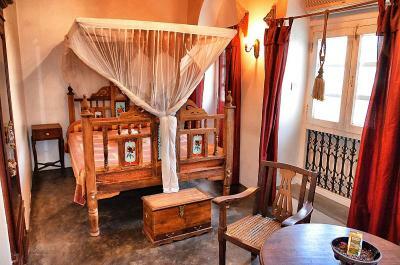 This room has wooden furniture and features a four-poster bed, draped with a mosquito net. 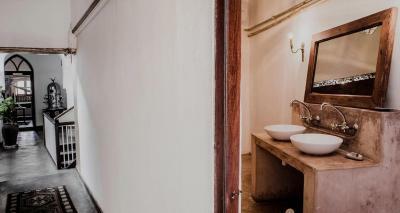 The room has a private bathroom on the hall. 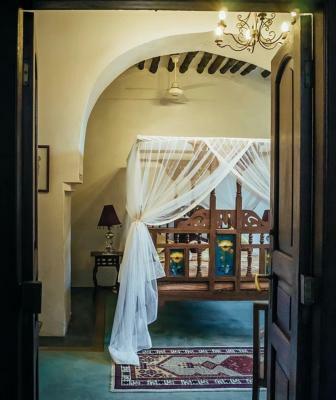 This room has 2 separate single beds, draped with mosquito nets and a private bathroom on the hall. 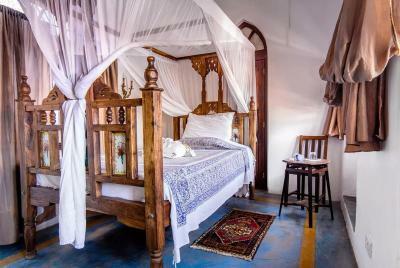 This cozy room features a four-poster bed, draped with a mosquito net. 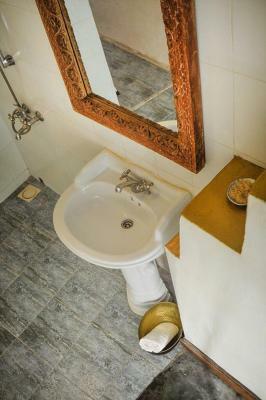 The private bathroom is in the nearby hall. 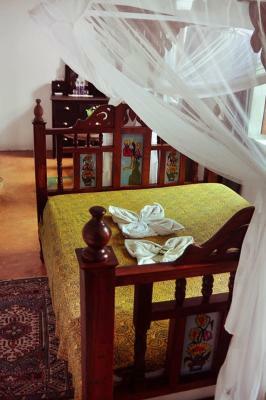 The bed can be set up to accommodate 2 guests on request. Charges may apply. 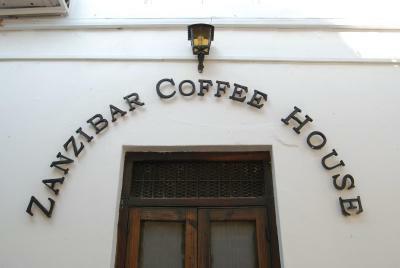 House Rules Zanzibar Coffee House takes special requests – add in the next step! 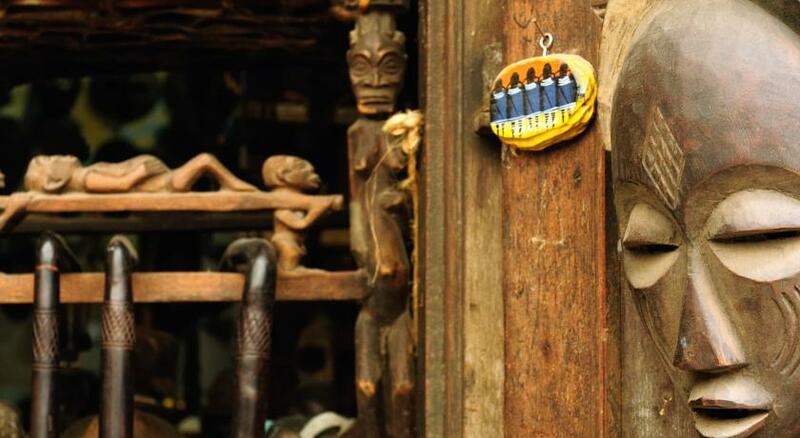 Zanzibar Coffee House accepts these cards and reserves the right to temporarily hold an amount prior to arrival. 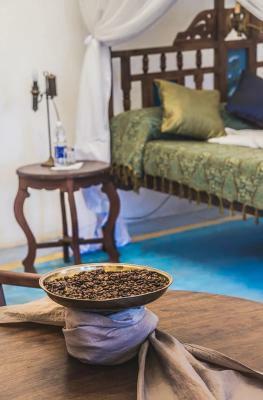 Very nice roof top and excellent breakfast with delicious fruits, homemade James, yogourts and muesli ... like at home ! 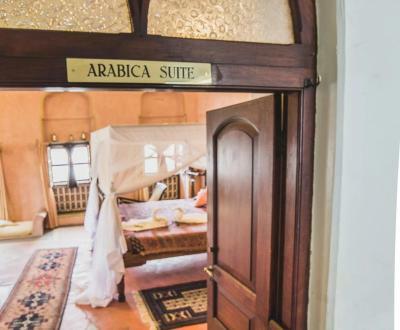 I was a tad disappointed by the room ('Arabica' suite). It contained a classic Stone Town decor, but I stayed at better 'authentic' Stone Town hotel buildings with more feel and charm, and which were bigger. Granted, we didnt take the breakfast many people rave about. The bathroom was a disappointment. Overall, this was a good stay. 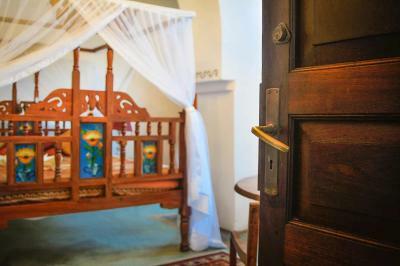 The rooms have AC and can be fully shut off from the outside, making a good rest possible. Staff is very professional and friendly! There was a problem with AC and the power generator that impacted the quality of out stay. However, management pro-actively offered a refund of the day's charge which is very appreciated. I think the hotel would benefit from investing more in comfort (room fridge, bathroom amenities and power /AC). 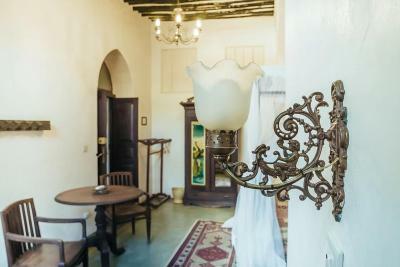 Nice location in central part of the city, gives you immediate access to the old narrow streets. Close to restaurants and harbor. Warm welcome and very friendly staff. 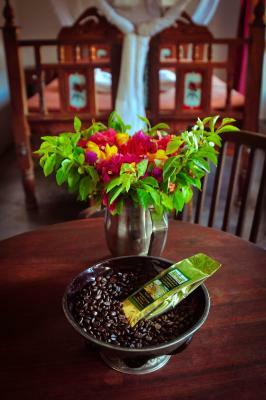 The building takes you back in history and the coffee theme gives the hotel a nice atmosphere. The roof top gives a good 360° view on the city. 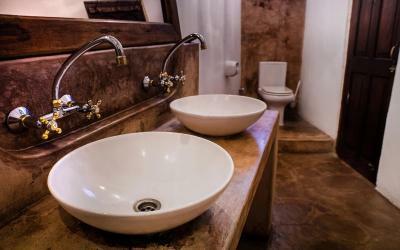 The private bathroom (Excelsa) could be equipped with a fan to help with air circulation as it can get quite stuffy in there. The absolute warm and friendly welcome. 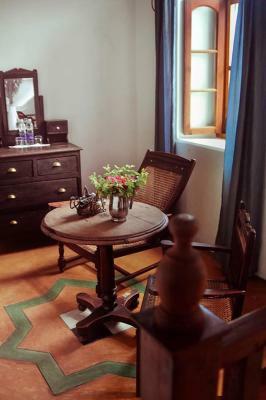 The simplicity of the rooms but having all you need to enjoy your stay. 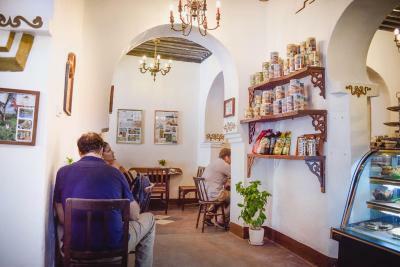 The charming authentic interior and best coffee! Wonderful. Staff especially the elderly man is super nice. Great location & staff. 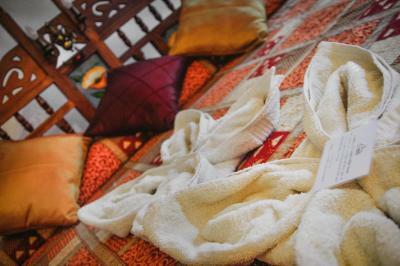 The room & bathrooms were clean and comfortable. Bathroom being seperate to the room was not an issue for us. Breakfast was tasty - eggs & pancakes made to order!